One look at all there is to do within 90 minutes of Flagstaff will tell you why you should make The Inn at 410 B&B your home base while visiting the Grand Canyon and Northern Arizona. Just give us a call and we can help you plan private tours, group tours, archaeological tours, Grand Canyon tours, Sedona jeep tours, and much, much more! You’ll be surprised at how much there is to do! 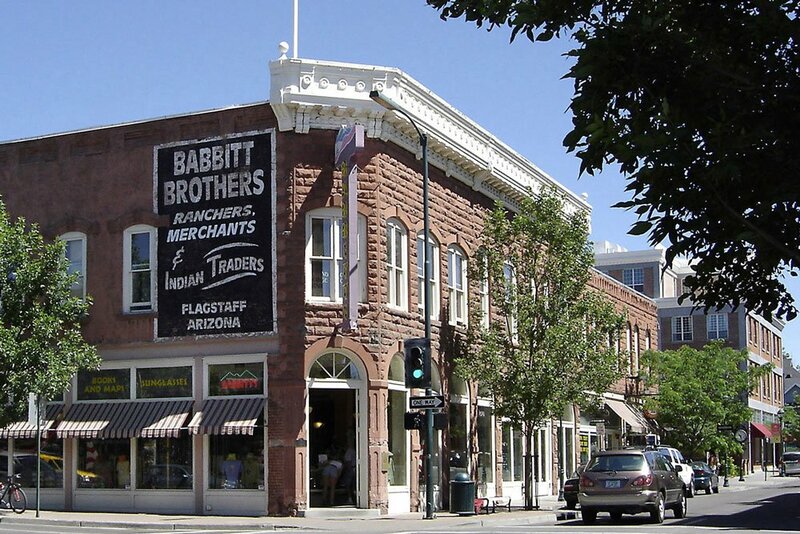 Though only a 90-minute drive from Flagstaff, you will want to make this a full day trip. Leave the Inn after breakfast, take Route 66 east and head north on Highway 89, stop at the Cameron Trading Post (1.5 miles north of the Hwy 64 turnoff ) and enter the Park at the east entrance at Desert View. Start your Canyon viewing by climbing the historic Watchtower built in 1930 and designed by Architect Mary Colter. Enjoy the overlooks along the East Rim Drive, this is where the Canyon is the widest, most red in color and where there are the fewest Park visitors. Take a picnic lunch with you from Wild Flour Bread Company in Flagstaff and enjoy your picnic wherever you want on the Canyon’s edge, especially Shoshone Point which Gordon is always happy to tell you about at breakfast. Alternatively, stop for lunch in the Grand Canyon Village, the dining room of the El Tovar Hotel is recommended although parking in the Village is always challenging. 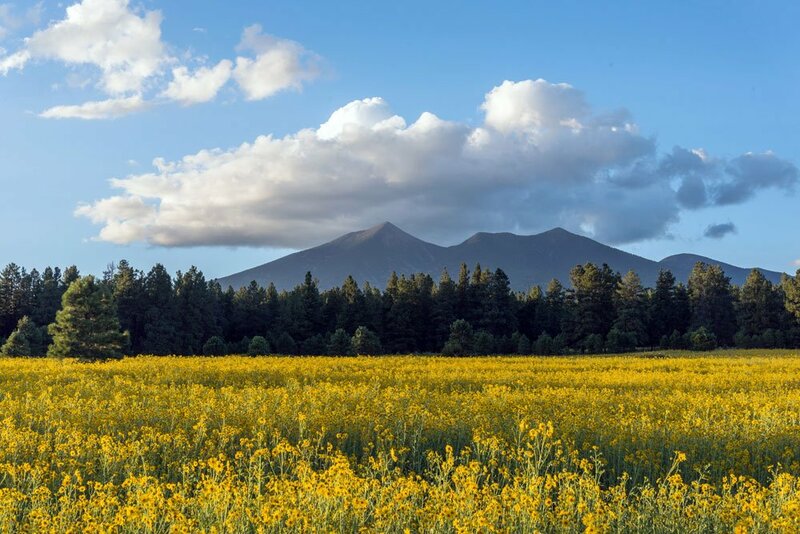 Leave the Park through the Main Entrance heading south on Hwy 64 to Hwy 180 in Valle, enjoy the views of the San Francisco Peaks and return to Flagstaff in time for dinner. If you want to leave the driving to someone else, sit back and let the experienced tour companies do the driving to the Grand Canyon on an all-day tour. Your guides will show you through the Park, you will be offered lunch, refreshments, admission to the Park, and a knowledgeable guide will explain the geology and history of the Canyon. Let us book your tour for you in advance. 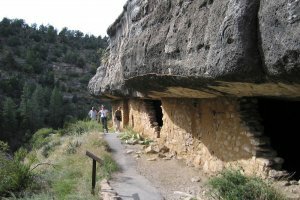 We recommend daily tours provided by www.allstargrandcanyontours.com. Please visit their website for detailed information on their tours. If you’re more of the adventurous type and would like to take a multi-day guided trip into the canyon with a group or privately, we recommend Wild Land Trekking. Wild Land Trekking offers 11 multi-day tours and 5-day hikes. The length and difficulty of hikes and packages vary so view their website for detailed information! A pleasurable day trip, Sedona is just 45 minutes south of Flagstaff in Red Rock Country. 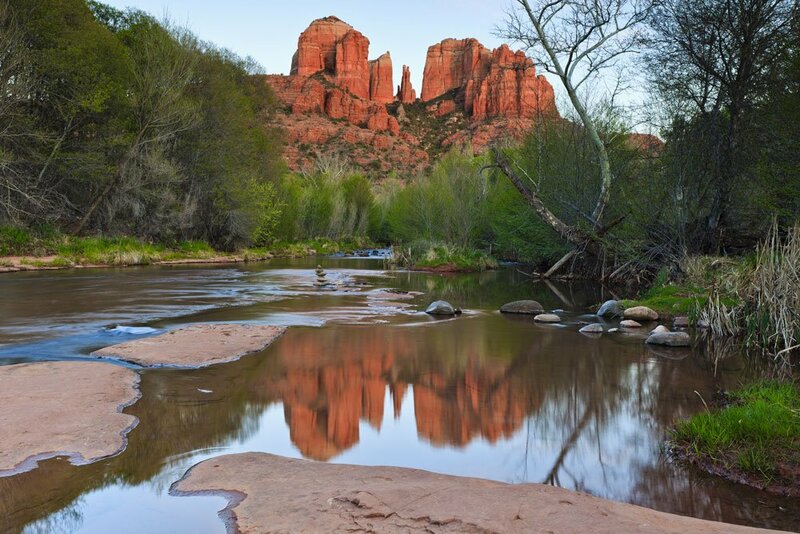 Leave the Inn after breakfast and head south on Interstate 17 two miles to the Hwy 89 A/Sedona/Oak Creek Canyon Exit. 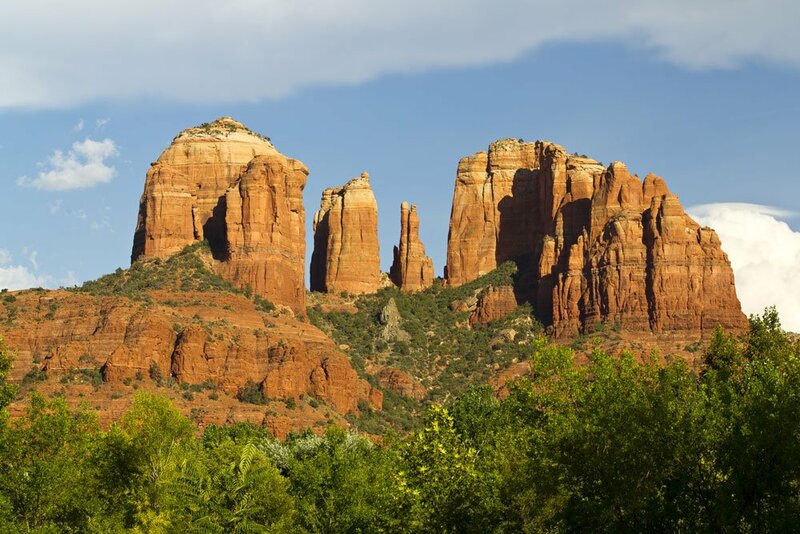 Head 7 miles south on Hwy 89 A and stop at the Scenic Vista Point at the top of Oak Creek Canyon. 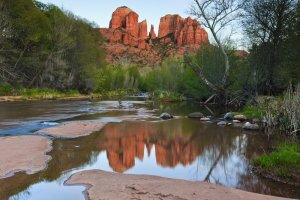 Wander your way down 18 miles through curvy and scenic Oak Creek Canyon and you end up in touristy Uptown Sedona where you will find the Pink Jeep Tours office. Take the first roundabout south of Uptown Sedona onto Hwy 179 and head over to the Frank Lloyd Wright inspired Chapel of the Holy Cross. Head back on Hwy 179 to Tlaquepaque, a charming Mexican style shopping village filled with galleries and boutiques. Head back south onto Hwy 89 A stopping to take in the view at the small Sedona Airport where there is a Vortex 2/3 the way up Airport Rd. 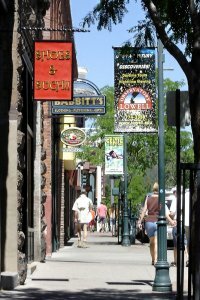 Heading out just 20 minutes south of Sedona you can stop by historic Old Town Cottonwood where you will find numerous Verde Valley wine tasting shops. 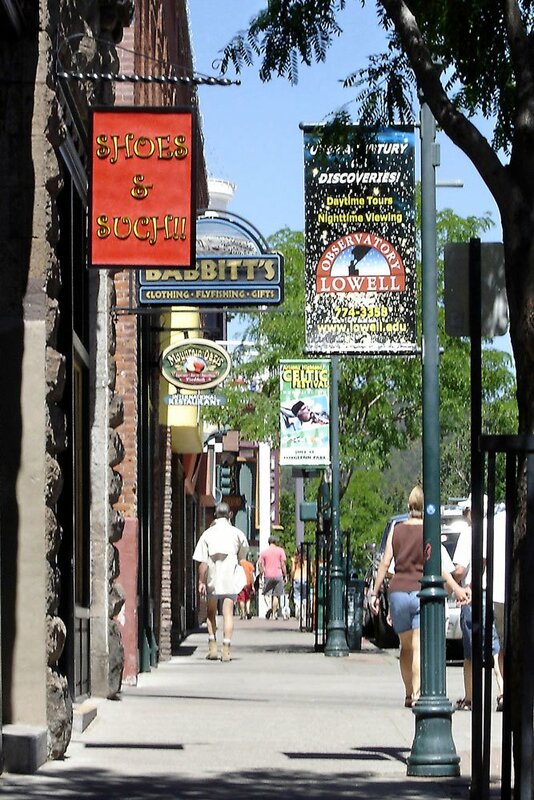 Just 10 minutes up Mingus Mountain you will find the charming historic former mining town of Jerome. Haunted Jerome is home to many shops, restaurants and bars, most notably "The Spirit Room", "The Haunted Hamburger" and the Hotel Grand Jerome and its Asylum Restaurant. Heading back down the hill to Cottonwood, take Hwy 260 out to Interstate I-17 and stop at Montezuma's Well at Exit 293 before making the climb back up the Mogollon Rim to Flagstaff in time for dinner. An easy day trip. Leave the Inn at 410 after breakfast, head north on Route 89 and take the turn toward Sunset Crater. This is an extinct volcano and lava flow with a visitor’s center and a nature trail. After seeing Sunset Crater, continue on this road to Wupatki National Monument. Here is a large well-restored pueblo style ruin and down below is a restored ball field and a "blow hole" that comes up out of the volcanic rocks. As you drive, signs point out a couple of other ruins off the main road. Continue on this road to rejoin Route 89 and turn south back toward Flagstaff. When you get back into town, catch eastbound Interstate Route 40 at the first opportunity. After a few miles, you will find Exit 204 for Walnut Canyon. Here are cliff-dwelling style ruins which tourists are allowed to walk through. As a precaution, there is a very long stairway down into the canyon, which may be too much for some. After your day trip, return to the Inn at 410 for some relaxation before dinner. This is a trip that will take the entire day. Leave the Inn after breakfast, and head east on Interstate Rt.40. Meteor Crater, at exit #233, is an impact crater with a visitors center that describes the astronaut’s lunar training here. The Homolovi Ruins, at exit #257, have only recently been excavated, so work is still continuing. The Homolovi Ruins were recently named a state park in order to protect the ancient site. Continuing east to Holbrook, exit for Rt. 180. After traveling on Rt. 180 for approximately 19 miles, you enter the Petrified Forest. Stop at the visitors center and walk the trails. View the petrified wood in all its raw beauty. This national park is an amazing place and is well worth the trip. Then drive north through the park to the Painted Desert, where you can check out the overlooks. Catch westbound Interstate 40 for the drive back to Flagstaff, and get back to the Inn at 410 just in time for dinner. To make this a more manageable day you might want to omit either Meteor Crater or Homolovi Ruins, depending on your interests. 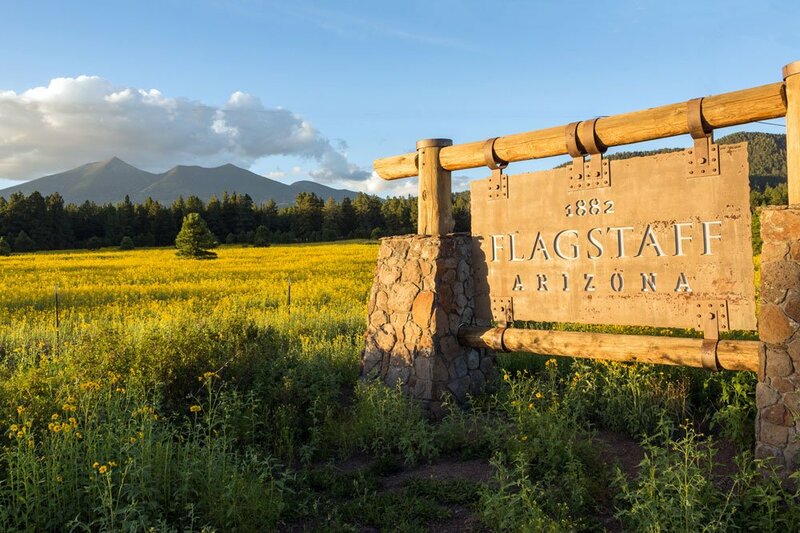 Flagstaff, the perfect destination in any of our four mild seasons, enjoys almost 300 days of sunshine and all our area attractions are within an easy drive of The Inn at 410 B&B. Ask any of our innkeepers to help you plan your itinerary. 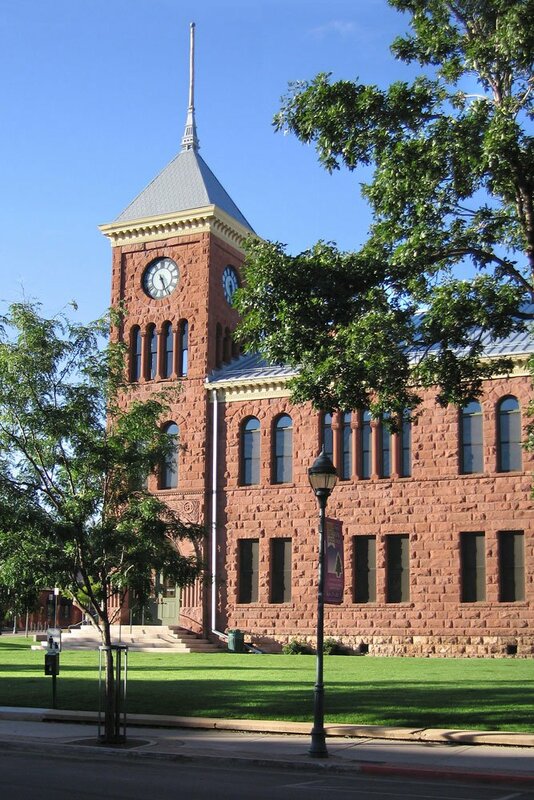 A world-class institution with collections, research, and exhibits on the archaeology, geology, natural history and Indian cultures of the 4 corners region. 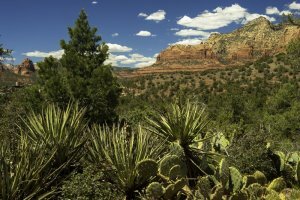 Start your visit to the Southwest here to more fully understand the many wonders of this area. Allow 2 to 3 hours. The gift shop has excellent authentic Indian arts and the book shop has everything you could want to know about the Southwest. Call 928/774-5213 for hours and current exhibits. Learn more. Founded in 1894 by Percival Lowell, the planet Pluto was discovered here in 1932 (never say Pluto is not a planet while in Flagstaff). While this is still an important research facility today, the new visitors center has fun, educational displays. Many evenings (every night except Sunday) the telescopes are available for public viewing, don’t miss the 26 inch Clark telescope. 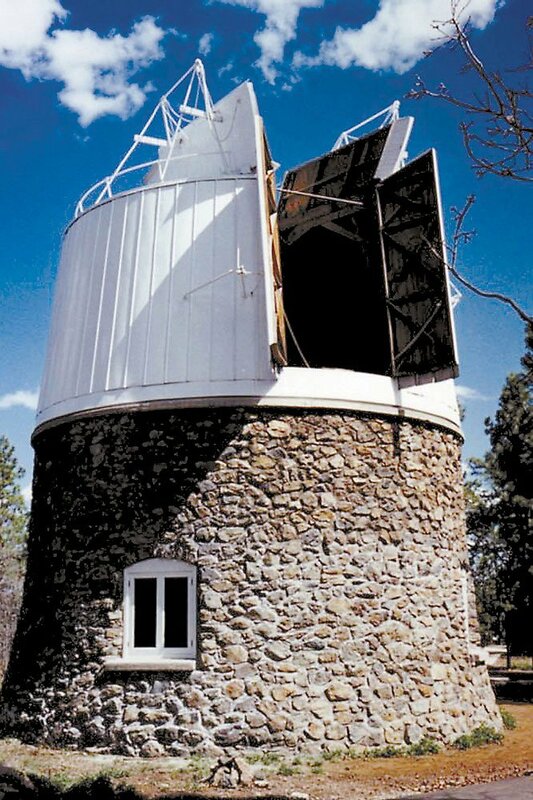 Call 928/774-2096 for hours, current programs, and telescope viewing times. Learn more. This 13,000 sq. ft., 40 room log cabin style mansion was built in 1904 for two brothers who married two sisters and started the logging industry in Flagstaff. One of the first structures in town with electricity and indoor plumbing, it was a grand house for its day. The furnishing is of the Mission and Craftsman styles with many original Stickleys, and everything is original to the house. Guided tours only on the hour. Call 928/779-4395 for reservations. Learn more. 2 blocks from the Inn. 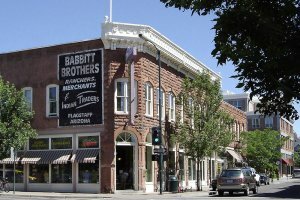 Historic Downtown has been restored during the past 20 years with the completion of Heritage Square in 1999. The shops, galleries, and restaurants provide a very pleasant environment for strolling, shopping or just sitting with a cup of coffee. For nightlife, downtown is the place with numerous restaurants and bars. During the summer, "Movies on the Square" are shown every Friday night. Year-round enjoy our first Friday of each month "Art Walk" as the galleries stay open late for our visitors. 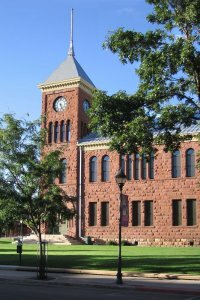 To view a July 2005 review of Historic Flagstaff and the Inn at 410, click on the following link: Learn more. Miles of trails for hiking and mountain biking as well as forest roads smooth enough for a regular car. We have trail maps and guidebooks you may borrow for the day. Drive the Schultz Pass Road, bike the Pipeline Trail or hike to the highest point in Arizona, 12,600 foot Mount Humphreys! Take a short stroll or bring lunch and make a day of it. Located about six miles south of The Inn at 410 on Woody Mountain Rd. 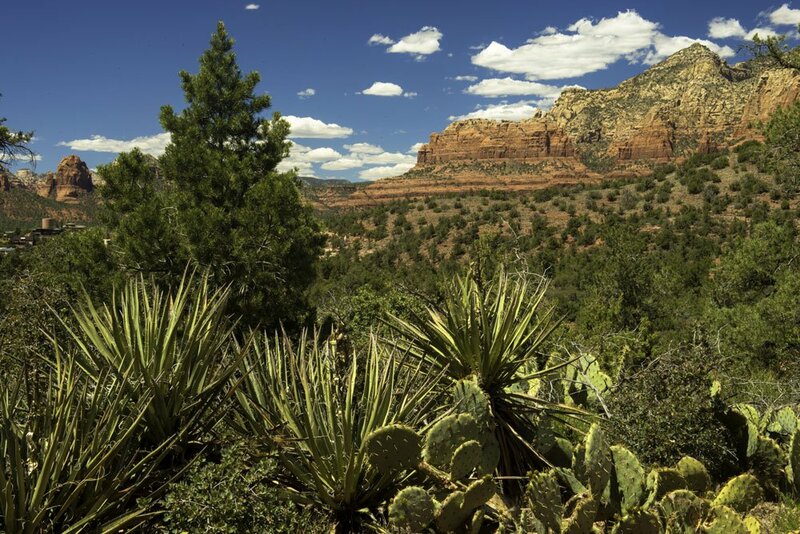 this 300-acre park displays the abundant natural vegetations of the Colorado Plateau. Open early April through October, the Arboretum was once the home of a wealthy Flagstaff resident who generously donated it for all residents and visitors to experience the beauty of this natural landscape. A great place for solitude and holding hands. Learn more. A 30-minute drive from the Inn. Winter downhill skiing or take the sky ride in the summer for some amazing views of Northern Arizona or start your hike of the Peaks here. There is a cross-country ski touring center at a separate location. Call 928/779-1951. Learn more. A 10-minute drive from the Inn. 25,000 full-time students on campus. The Inn at 410 fills up well in advance for graduation and parent’s weekend. Make your reservations early! A 15-minute drive from the Inn. Our only public course. Call 928/527-7999 for tee times. To see the weather forecast for Flagstaff, Arizona check out wunderground.com. Flagstaff's climate is considered sub-alpine therefore we have four distinct but mild seasons here at 7,000 feet elevation. Summer daytime temperatures are generally in the 70s and 80s with nights dropping to a cool 50-degree range. Rarely do we reach daytime temperatures at or above 90 degrees. July and August bring pleasant afternoon rain showers that sometimes bring hail and even snow to the San Francisco Peaks. Fall weather is generally dry and cooler with daytime highs in the 60-degree range and nights in the low 40s and upper 30s. By November, we usually get snowfalls and our typical winter snowfall averages close to 100 inches in town and over twice that in the San Francisco Peaks. Most winter days are sunny however and our snow does not stick around long in town due to our dry climate. Springtime brings lots of flowers with daytime temperatures in the 50/60-degree range through April and nighttime temperatures just above freezing. Stray snowfalls can continue through May, although our variable springtime weather can bring 70 degree days with lots of sunshine. Flagstaff averages over 300 days of sunshine annually with strong UV's so we use sunblock and moisturizers here year-round. 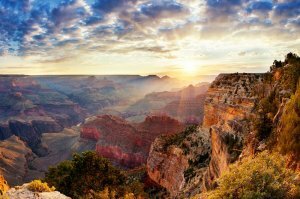 All-Star Grand Canyon Tours: All-Star Grand Canyon Tours provides eco-friendly, luxury, custom, private tours of the Grand Canyon and the Four Corners Region. 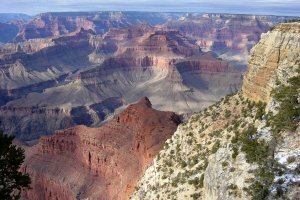 Grand Canyon Association: Travel planning resources, bookstore, and outdoor education opportunities. Much more than "where to stay and where to eat." Grand Canyon Hikes: Get below the rim. Few visitors actually get down into the Canyon. Jon and his staff lead a safe, guided Grand Canyon hike. Take a day, an overnight or a backcountry trek. All equipment and meals provided. Raft the Grand Canyon: From a day trip up to two weeks, the majesty of the canyon is magnified from river level. A once in a lifetime experience. Flagstaff Information: General information for your stay with us. Grand Canyon Information: General information about the park and surroundings.